GAINESVILLE, FL- The Florida Gators kicking woes were well documented last season. The Gators went only 7-17 on field goal attempts and their longest make was only 43 yards. 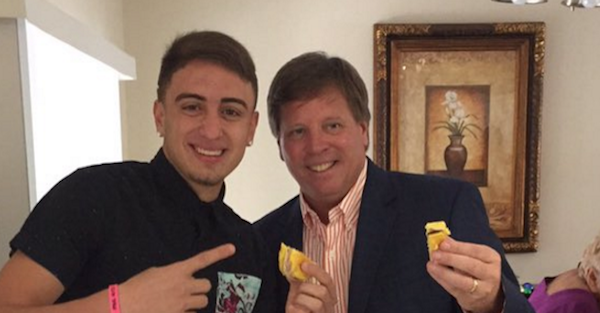 After video surfaced on YouTube of Eddy Piñeiro nailing 60+ and 70+ yard kicks, Florida head coach Jim McElwain went “all-in” in recruiting efforts, eventually landing the commitment of Piñeiro. Piñeiro enters Florida with lofty expectations, but on Saturday night he may have raised those expectations even higher. Piñeiro was 3-3 in his first ever football game (he played soccer in high school and junior college) connecting on kicks of 40, 49, and 48. He also drilled a 28-yard attempt which was taken away due to an accepted offsides penalty. Piñeiro was also able to kick the ball deep showing the ability to kick it through the back of the end zone on kickoffs. Piñero admitted to being nervous before his first field goal attempt (the 28-yard kick) saying, “Whoever says they don’t get butterflies is a complete liar.” He also added that kicking in front of a crowd of 88,191 fans wasn’t any more difficult than kicking in front of his teammates in practice. Piñero was originally committed to Alabama before McElwain started recruiting him.